Gift can be activated in the following countries: Russia, Ukraine,Armenia, Azerbaijan, Belarus, Georgia, Kyrgyzstan, Kazakhstan, Moldova, Republic of Moldova, Tajikistan, Turkmenistan, Uzbekistan. 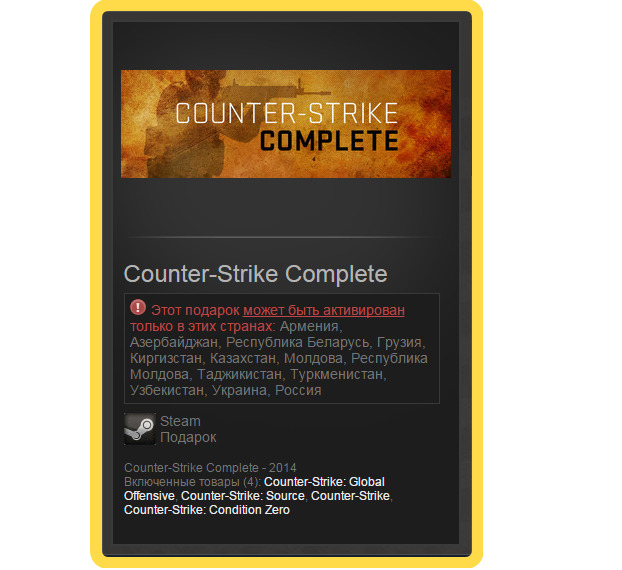 Outside Russia and the CIS use VPN! For example Service hideme.ru - give one day free VPN !!! If You don´t know, don´t know how, don´t understand what is VPN and how to use it - then such a gift You do not need !!! Counter-Strike: Global Offensive (CS: GO) will revive one hurricane command gameplay, first introduced 12 years ago. 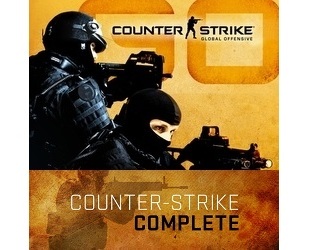 CS: GO contains new game modes, a system of organizing matches, the list of the best players and much more. 2. To register a new account on Steam or enter the existing one. 3. Received after purchasing a link, you must copy and paste into your Internet browser to log in with your Steam account and accept gift to your LIBRARY or add it to your INVENTORY. The giftlink worked and I was able to activate the game on my account.